NORTHPORT went for youth over experience, signing young guns Bradwyn Guinto and Joseph Gabayni less than a week before the team kicks off its campaign in the PBA Philippine Cup. Guinto, a fourth-year center, agreed to a two-year deal with the Batang Pier, while Gabayni received a similar two-year contract entering his sophomore season. Terms of the deal were not made available although its certain none of the two got a maximum offer. The signing of the two afforded the Batang Pier to unconditionally release veteran forward Gabby Espinas as Guinto and Gabayni now share frontcourt chores with Mo Tautuaa, do-it-all Sean Anthony and rookie free agent Jom Sollano. The five big men are part of the 12-man roster submitted by the franchise to the PBA office in time for Tuesday’s press launch of the league’s 44th season, a copy of which was acquired by SPIN.ph. Others completing the Batang Pier roster are Stanley Pringle, Nico Elorde, Ryan Arana, Jonathan Grey, Paolo Taha, Lervin Flores and rookie Robert Bolick. Conspicuously not included from last year’s line-up aside from Espinas are guards Jeric Teng and Jeric Fortuna. 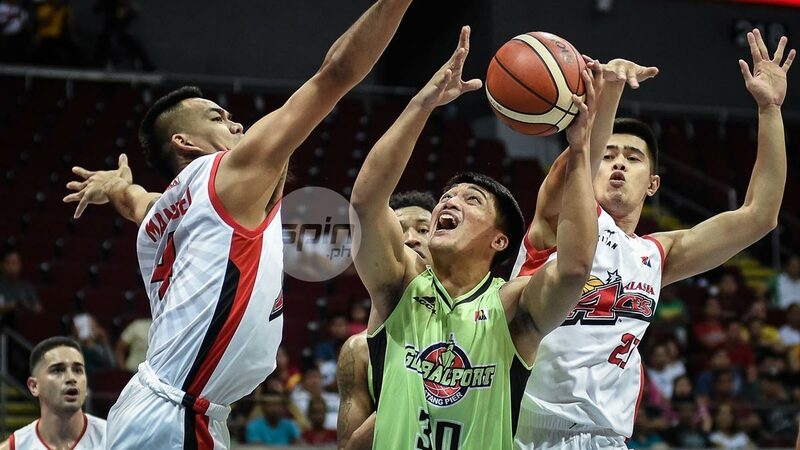 But team insiders said the Batang Pier are still trying to complete a 13-man roster for the All-Filipino conference that formally opens on Sunday at the Philippine Arena in Bulacan. Among those trying out for roster spots include AJ Mandani, Dylan Ababou and rookie Jeremiah Taladua, a fourth round pick by NorthPort in the last draft. Guinto played in a total of 35 games last season and averaged 4.1 points and 3.5 rebounds while playing 14.2 minutes per game. Gabayni averaged 10.1 minutes per outing as a rookie and submitted numbers of 2.9 points and 3.2 rebounds in 28 games.